Friday, March 15, 2019 • 8:15 a.m. - 3:30 p.m. In this rapidly changing world, how do you ensure that your company message cuts through the distractions and misperceptions? 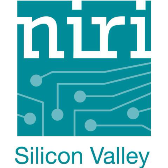 Attend NIRI Silicon Valley’s Spring Seminar for actionable takeaways and critical insights from leading industry professionals to help you hone your skills, understand the external environment, focus on the long-term and become aware of how your story is being received. Come join us!